International University Canada was developed as an alternative to the traditional institutions of higher education. The University now has more than 30 study centers in 5 countries with several new centers in the process of development. The University has expanded its operation in the Canada. The University has continued to grow from its beginning. Aiming to take the challenge of new millennium, all the International study center-directors’ meetings are held annually and there is close inter-exchange of communication among the centers as member of the global family. However, International University Canada currently operates educational programs in the following countries with its affiliated study centers. International University Canada’s Study Center is the technological center of the University’s teaching and learning operations. Via the Study Center, one accesses course syllabi, assignment-related specifics and suggestions, links to supplementary resources; examinations and instructional guidelines. Via the Study Center, one has interactive options available: dedicated chat rooms, message boards, direct communication with faculty and administration. In fact, one can make contact with all offices of the University via this “virtual campus”: the bookstore to purchase or to sell books; all university offices (Academic Affairs, Student Services, and Financial Services, among others). The Study Center, if suitably utilized is central to the delivery system and provides students with a broad range of support mechanisms essential to student success. It is at once a key to learning and an informational center. In sum, the International University Canada’s Study Center is a powerful learning platform at once highly sophisticated (in terms of potential and offerings) and yet user-friendly in every sense of the term. International University Canada solidly-grounded courses, each and every one of which includes extensive professional-level readings supplemental to the assigned text or texts, and requires the assimilation and measurable application of large blocks of knowledge. Challenging assignments have been designed to promote strong critical thinking, analytical, and communicative skills. Each course has been developed and reviewed by multiple field experts, and is subject to regular revision, as the faculty, administration and National Advisory Council deems appropriate. In tandem with course syllabi and programmatic development, faculty of the highest caliber (nationally-recruited) select and approve the text or texts and readings for each course. 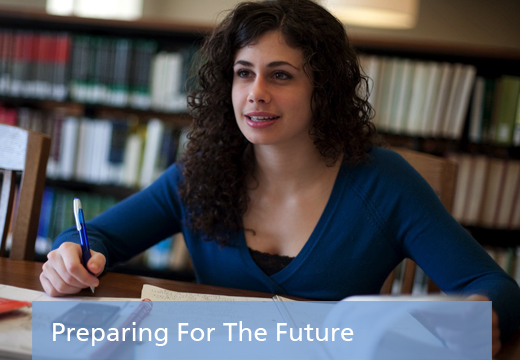 Each course (general education courses, core courses, specialized field-specific courses) requires several critical reading/writing assignments (with emphasis on both content analysis and communicative skills), three essay exams, and one or two major research projects, plus a comprehensive final examination, with an approved proctor in place. The final examinations are notably challenging, as they require thorough assimilation of ALL course materials. Moreover, every degree program at the undergraduate and graduate level requires the submission of a Research Project, a detailed Field Work Experience, and a thesis (three notably rigorous demands). A Council of Readers, established as of Dec. 2006, evaluates every research project and thesis submitted and, while always tuned to constructive feedback, does not approve any piece of sub-standard work. Clearly, then, U of A students are receiving a thorough education, and completion of a degree indicates substantive achievement. Qualified faculty and significant learning resources are in place to facilitate and foster student success: that is the University’s ultimate objective. At the same time, it befalls the student to produce work worthy of the degree for which he or she is a candidate and such an standards of excellence, clearly communicated throughout each program, remain central and non-negotiable. 131/B, (5th Floor), Green Road, Farmgate, Dhaka-1212, Bangladesh.